Published Feb 13, 2014 by Peachpit Press. Part of the Learn by Video series. The digital video tools available in Adobe Creative Cloud offer industry-standard applications for project organization, video and audio editing, animation, and final encoding for delivery. This critically acclaimed interactive training program from Adobe Press offers 4 hours of exceptional quality high-definition video tutorials to teach the fundamental concepts and features you’ll need to use the tools. After the basics are covered, you’ll learn to you’re your video from concept all the way through the production and post-production pipelines. With focused attention on the workflow and integration between the video and audio applications in Adobe Creative Cloud, you’ll learn to plan and organize projects, ingest and log clips in Adobe Prelude®, edit in Adobe Premiere® Pro, create motion graphics and visual effects using Adobe After Effects®, work with audio in Adobe Audition®, color correct in Adobe SpeedGrade®, finish and render compositions, output your files for the web, and share your files on Adobe Creative Cloud. 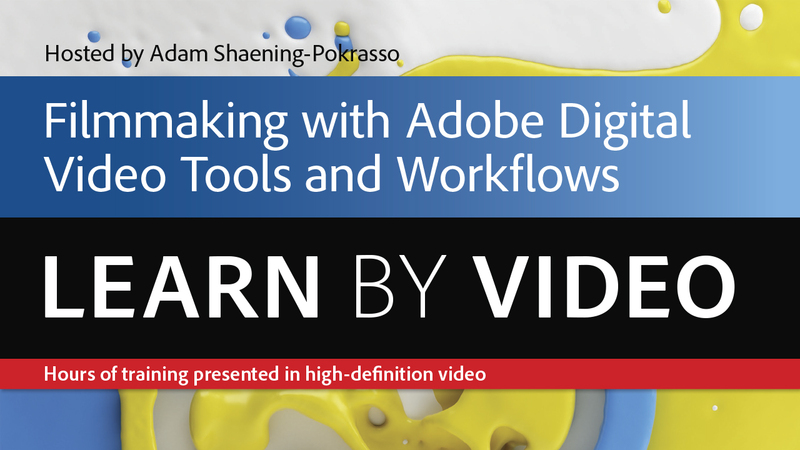 After completing this video course, you’ll know the basic Adobe digital video workflow and have the necessary skills to successfully complete your filmmaking and video projects.